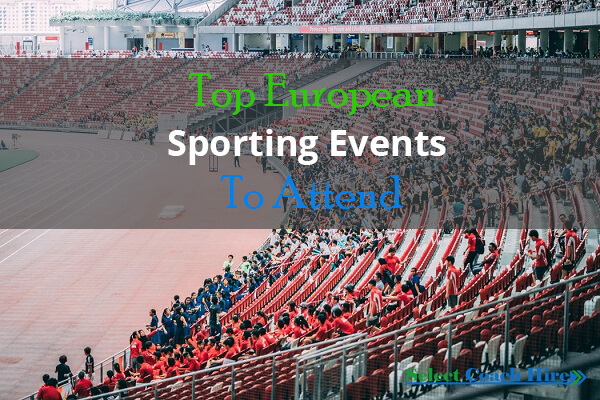 Sports fans have lots of options to choose from when it comes to attending sporting events in Europe. From tennis to race car driving, rugby and bicycling, the EU is home to some of the worlds most watched and attended sports competitions. Be sure to reserve your tickets well in advanced, along with Europe coach hire. This event features some of the world’s fastest, most high performance automobiles. The races take place in the Monaco street circuit, which is narrow and famous for its scenery. What is best about the Grand Prix however is the ability of spectators to get close to the track, where they can get a grand view of the drivers battling it out for supremacy. Furthermore, this event is always attended by the worlds rich and famous, and the pre and post galas are always world class for those fortunate enough to attend. The best location for viewing the races is near Casino Square, where the cars will blaze past the Casino of Monte Carlo. The name “Wimbledon” has become synonymous with the sport of tennis, and for good reason. While there are many prominent tennis tournaments held throughout the world, Wimbledon is the oldest and most prestigious of them all. This event was first held in 1877, and is one of four tennis tournaments which are designated Grand Slam, with the others being the French Open, US Open and Australian Open. However, the Wimbledon tournament differs from the others in that it is still held on grass, which is the original surface on which the game was played. There is no bicycling event in the world more highly esteemed than the Tour de France. It is a yearly, multi stage race which is held primarily in France, but sometimes extends into neighbouring countries. The competition was first held in 1903 and is today organized through the Amaury Organization. Initially the tour encompassed the French perimeter, and because bicycling is a sport based on endurance, the organizers of the event quickly recognized that they could make a fortune by portraying their competitors as being peak human, which the winners were. Today the Tour de France has twenty one stages daily which can reach a length of 3,500 kilometres, with the shortest being 2,428 kilometres (1904) and 5,745 kilometres (1926). The Rugby World Cup is a union tournament for male rugby players which are held each four years. The best international teams will contest one another, and the very first tournament was held in Australia and New Zealand in 1987. The winning team is given a Web Ellis Cup, which is named in honour of William Webb Ellis, the man that is said to have developed the game of rugby while collecting a ball in a football competition. To date four countries have captured the trophy so far, which are South Africa, New Zealand, Australia and the United Kingdom. This rugby competition is organized through World Rugby, which is a global governing body. Sixteen teams were offered the opportunity to participate in the 1987 inaugural tournament, but since that time the sport has grown and since 1999 more than 20 teams have participated. Japan is expected to host the Rugby World Cup for 2019, while the 2023 event is planned to be held in France. The event lasts six weeks, and there are two stages, one which is referred to as a pool and the other being a knockout. This is Europe’s premier soccer event. Formerly referred to as the European Cup, it is a yearly competition that has been held since 1955, and is organized via the UEFA, or Union of European Football Associations. It is considered by most to be the world’s top soccer event, where the best soccer leagues on the planet will face each other for dominance. It rivals the American Super Bowl, with the difference being that the teams facing each other can come from different parts of the EU, as opposed to within a single country. 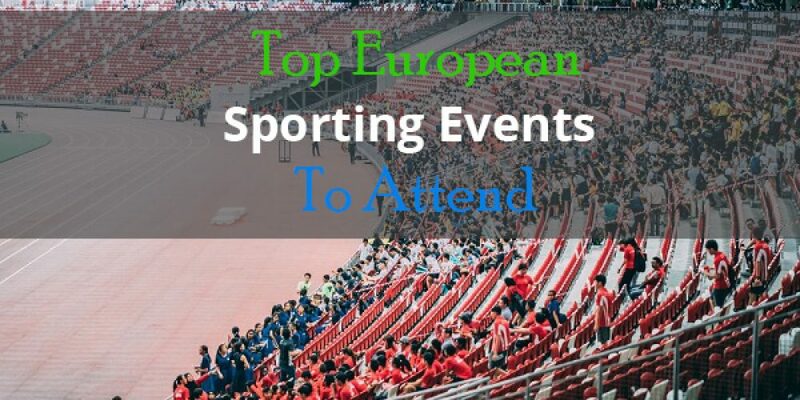 This is an event no European soccer fan will want to miss.